Good Garage Scheme Car Servicing in Great Britain : Good Garage Scheme commends new in-car technology developments. Good Garage Scheme commends new in-car technology developments. Not since the development of hands-free equipment has there been such a leap forward in in-car-technology. 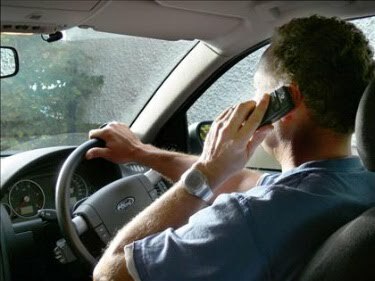 New interior devices for cars can improve road safety further still by giving drivers an alternative to using mobile phones to text while driving. Innovations such as voice recognition software or text/e-mail are on their way. Three new vehicles on the road: BMW’s 5-series, Bentley’s GT and Ford’s Mondeo have a voice/text facility, an e-mail touch-screen and a voice recognition system respectively. Voice/text technology is quickly becoming the next big thing in the car marketplace. 2008 saw BMW becoming the pioneer of in-car e-mail access and voice/text systems were brought into 2010s 5-series. By the end of 2011, Ford is hoping to make it available on all the new medium-sized cars in their range. Audi are also making big improvements on forthcoming models. Next year’s A3 will have technology akin to the iPhone and features like enabling driver input of data by drawing letters on to the touchpad is said to be just the start in their next generation of “vorsprung durch technik” or “progress through technology”. When there is no traffic around and no law enforcement vehicles or gadgets, the inclination to text and drive can be much more tempting. The new in-car advances can render texting while driving a thing of the past. This can only be good for both motorists and other road users. Any technology improving road safety should be encouraged.